Harrisons pride themselves on the 100% natural fillings used in their hand-made mattresses. Each luxurious filling pad that is layered into a Harrison bed is made from the finest natural fibres, some of which are grown on their very own farm. More exotic materials such as cashmere and Egyptian cotton are carefully sourced to ensure their quality. 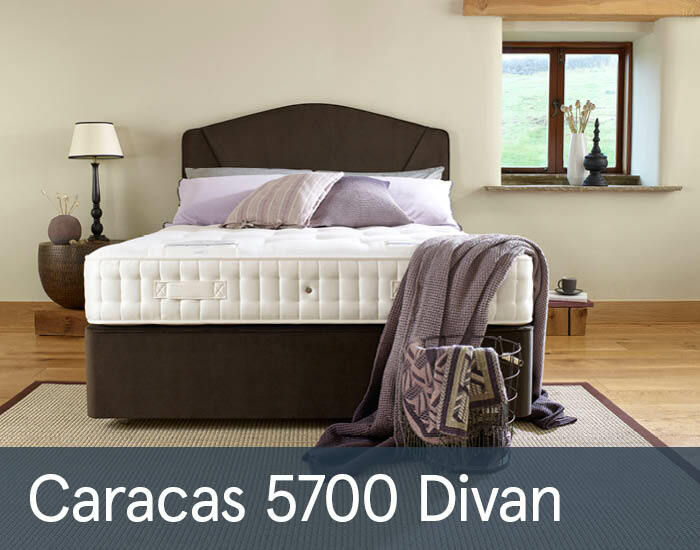 The Caracas 5700 range is a pocketed sprung mattress with natural fillings such as Hemp, Flax, and Natural Wood blends. The platform top deep base provides additional support. The Caracas is a no turn mattress, but regular rotation from head to toe will extend the mattresses life span. Available as a mattress or divan set with different headboard and storage options.